These lovely miniatures work perfect for crafting in decoden, jewelry, accessories, scrap booking, card making, kawaii projects and various decorations. They make very cute party or door gifts too! 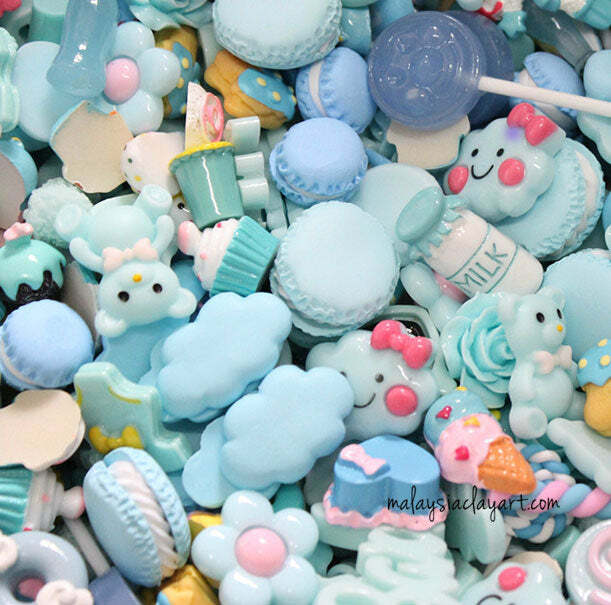 Suitable to use with cream clay, air dry clay, decoration on phone casing, DIY project and many more! Sizes are vary. *Note that you will not receive the exact design in the pictures. The pictures are only a small reference of what we have. We always pack a random mix of our current in-stock cabochons.